Brown Pundits: The Army is on the job.. The Army is on the job.. 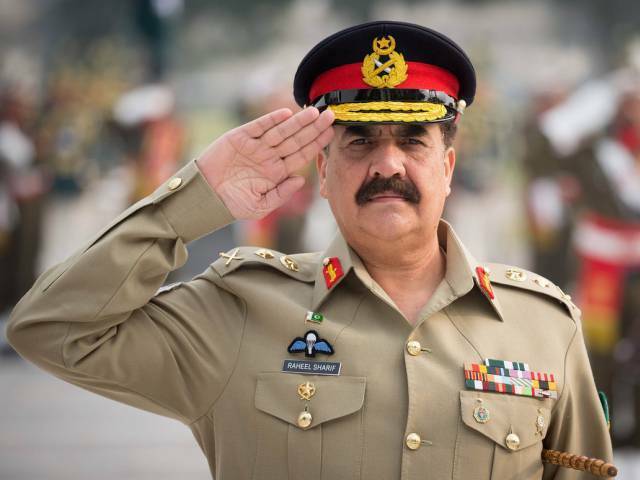 So General Raheel wants to make sure the world knows he is dong the right thing all alone in Punjab and (hint, hint) the prime minister and the bloody civilians are (as usual) not up to the job. ISPR and its superb media machine are busy making sure everyone knows that the army is out there all alone, leading the nation to greatness. This is one aspect of Pakistani internal politics that is reliably unchanging: that the army will use any and all crises to further elbow the civilians aside and to undermine their authority, usually in self-defeating and completely unnecessary ways (unnecessary in the sense that the civilians may not even be resisting "the right thing", though there can be exceptions to that). Thus the first thing the army did after the latest horrendous attack is to start sending out press releases and tweets via the ever vigilant and extremely efficient ISPR about how it has started taking action in Punjab and to make sure that their supporters/agents in the media amplify this as unilateral action and undermine the credibility of the counter-terrorism department and police (both of which have in fact been active recently against the terrorists) as much as possible. Action is needed against Jihadis, and it is great that the army now wants to kill some of them, but does it have to undermine the police and the civilian institutions as it does so? And when the hapless (even more hapless in PR, than in law enforcement) civilian regime tried to point out that these were joint operations and that they were fully on board, the army chief went so far as to put it out that the army was NOT doing any joint raids. Every retired air marshal and general has been on TV making sure everyone gets the message. This would all be fine if the army was as capable in this area as they pretend. But they have a long history of pushing aside civilians (admittedly, corrupt and incompetent civilians) and failing to do what even the corrupt civilians were managing to do. Thus everything from the Water and Power authority to the Railways to everyday policing deteriorated further under army rule (they have also deteriorated under civilian rule, the story is bad all around, but part of that is also due to how the army has undermined civilian institutions for decades, undermining trust in them and tolerating corrupt politicians who do its bidding while making sure anyone half-effective is cut to size). In the case of the police and the administration the issue is not just that the army does not really know how to handle stuff even at the British Raj level (which outdated level is about the best the civilian administration can manage), but that the army introduces dual responsibility in administration; everybody knows the real power lies with the army, but the civilian chief or police are still responsible on paper, so both sides have no incentive to take any responsibility. It never works well, but the army will do it anyway. Though I wouldnt mind if the army fires Choudhry Nisar, the interior minister. The thing is, he is probably the one person they will keep when and if they get rid of Mian Nawaz Sharif. So it goes.. But there can be little doubt that it works in the short term. Especially with Uncle Sam and Uncle Chin, both of whom have invested good money in this venture and want a steady well-dressed military hand on the tiller. Scott Atran Proposes.. Boy Scout troops?? Brussels. Islam, War on Terror, History..